Alexander R. Todd was given a chemistry set when he was eight years old, igniting a lifelong passion for science. He studied the structure and synthesis of nucleic acid, nucleotides, and nucleotide coenzymes. His best-known work showed how nucleotides — found in chromosomes of cell plasma and cell-kernels, crucial to heredity, and constructed of nitrogen, phosphoric acid, and sugar in a single macromolecule — are interconnected. He successfully synthesized adenosine triphosphate (ATP), an essential nucleoside, in 1949, and synthesized flavin adenine dinucleotide (FAD) in 1954. 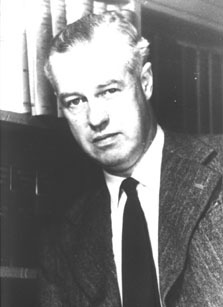 He described the structure of vitamin B12 in 1955. He won the Nobel Prize for Chemistry in 1957. His wife was the daughter of Nobel laureate Henry Dale.